The streets of downtown Ho Chi Minh City. The Young Adult Missionary Internship is a Christian missions program for young adults (ages 19-25) to experience life as a missionary in a cross-cultural environment. While living in a cross-cultural environment might seem adventurous at times, being a missionary is not an adventure, it is a calling from God. The focus of this program is to give young adults a glimpse of what cross-cultural missionary life is like. That young adults would grow in Christian faith through cross-cultural experiences that expand their understanding of who God is, what God is doing around the world, and how they fit into God’s mission. That young adults would live out that faith through sacrificial service to others. That young adults would grow as future mission-minded leaders of the church, possibly pursuing lifelong vocations as cross-cultural missionaries. We are working in partnership with a Bible Institute in South Africa where young adults are able to live on campus, participate in some classes and Bible study with other students their age, serve in local churches, and experience the diverse culture of this beautiful country. If you would like to participate in this short-term program July 2019 please email Pastor Matt Shields at pastormatt@alwm.org. How much will I need to raise? 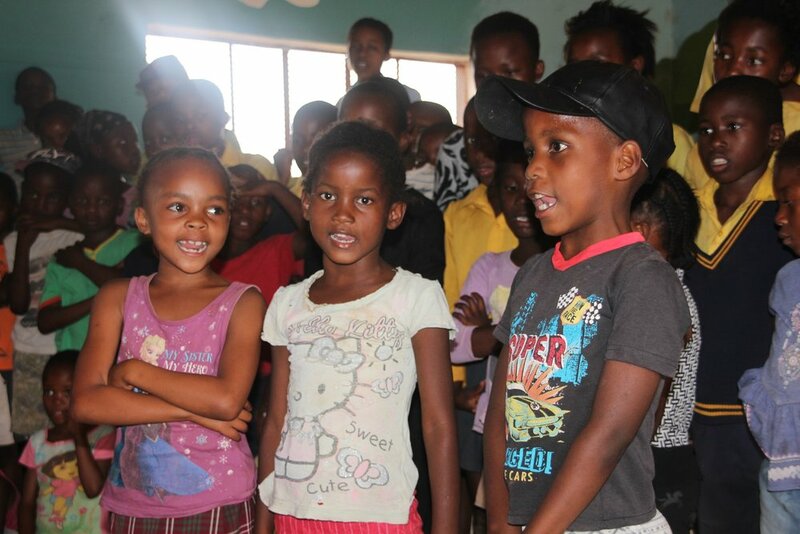 The budget for this short-term program is $4,000-$5,000 depending on how long a student stays in South Africa. The greatest expense is the round-trip airfare which typically costs between $1,000-$1,500. While we at ALWM will not do the fundraising for each young adult, we will help them by sharing insights and directing them to churches and organizations that set aside money to support missions and the spiritual growth of young adults. How long do I have to stay? The longer you stay, the greater the experience will be and the more you will be able to do, but we understand that the life of a college student can be somewhat fluid and busy. We highly recommend committing to at least 1 month in South Africa. The typical student will stay about 6 weeks in the months of June and July, but you may stay until the middle of August. What will I do? The Bible Institute is located near the major South African city of Cape Town, which offers a great opportunity to learn about the diverse cultures and history of the country. Young adults will also sit in on classes to learn about missions and the Bible. The Bible Institute has strong relationships with multiple congregations in the area and does work in the nearby townships. The young adults will be able to participate in different ministries within these congregations and see what it is like to worship as and be the church in a different culture. In Vietnam students will serve with the different ministries of Awakening Lives to World Missions. They will live in apartments at our Vital Links clinic and serve there, as well. They will have opportunities to engage with university students in Vietnam who are eager to learn English. They will also travel to Cambodia to serve with LCMC Cambodia in various ways, including the annual youth gathering. The long-term program is specifically meant for young adults who believe that God might be calling them to the life of a missionary or a pastor. 12 months will give young adults the opportunity to truly immerse themselves in the life of a different culture while knowing that there is an end in sight. We hope that this experience can give young people a chance to discern whether God is truly calling them to be a missionary for the rest of their lives. If not, that is ok!!! A year of serving God in a different culture will be a valuable and life-changing experience that will help you in whatever ministry or life-setting God is calling you to pursue. How much will I need to raise? The cost of this long-term program is roughly $10,000. This includes round-trip airfare, room and board, other travel needs, etc. While we at ALWM will not do the fundraising for each young adult, we will help them by sharing insights and directing them to churches and organizations that set aside money to support missions and the spiritual growth of young adults. How long do I have to stay? If you are considering this program then you should want to commit to stay for 12 months, or close to it. If needed, the year can be cut short at 10 months. For example, if a student is participating in this program as a gap year and needs to return early to prepare for the next school year that would be appropriate. However, young adults are expected to commit to a long-term stay of at least 10 months. Trips home during this year are strongly discouraged. What will I do? Young adults will stay in an apartment owned by the ALWM ministry called Vital Links in Ho Chi Minh City. They will have the opportunity to serve at the Vital Links clinic various ways. They will also be connected to different students groups from various universities that desire to learn the English language which is seen as an important skill for career advancement. This is a great way to learn what it is like to build relationships as a missionary for the sake of the Gospel. Each year Pastor Sam Chim leads a youth gathering in Cambodia. Young adults will have the opportunity to visit Cambodia and help with the planning and implementation of this program. While there will be many opportunities to serve, part of this long-term program is designed to put young people in situations where they will need to learn to navigate on their own. Therefore, they will not be over-programmed or always told what to do in order to give them freedom to pursue new opportunities while growing in their own ability to be self-motivated. Where will I live? In the bustling, diverse, and rapidly growing Ho Chi Minh City, Vietnam (formerly Saigon). This is the largest city in southern Vietnam and has incredible opportunities to learn about Vietnamese culture and history. The young adults will live in the apartment building owned by the ALWM Vital Links ministry. Applications for the long-term program will be accepted from November 1 - January 31 each year. For more information please contact Pastor Matt at pastormatt@alwm.org.